Move raises questions about what will remain of Project Titan. 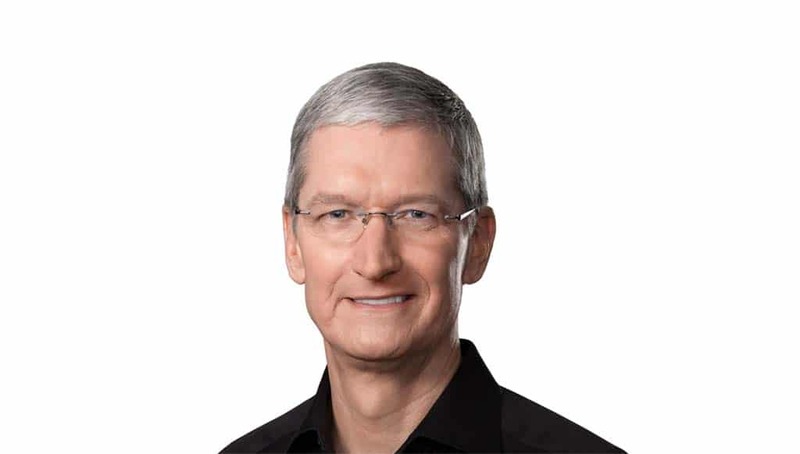 Apple Tim Cook had called self-driving vehicles "the mother of all AI projects." Apple has cut at least 200 jobs at Project Titan, its autonomous vehicle project, sources told TheDetroitBureau.com, a report now confirmed by CNBC. The operation has been underway in near secrecy for several years and had previously gone through several upheavals, according to sources, as the tech giant tried to figure out exactly what its long-term goals would be. While it appeared committed to the idea of developing self-driving vehicle technology, the big question was whether Apple should also build the cars that would use that technology and, if so, how they would be used. 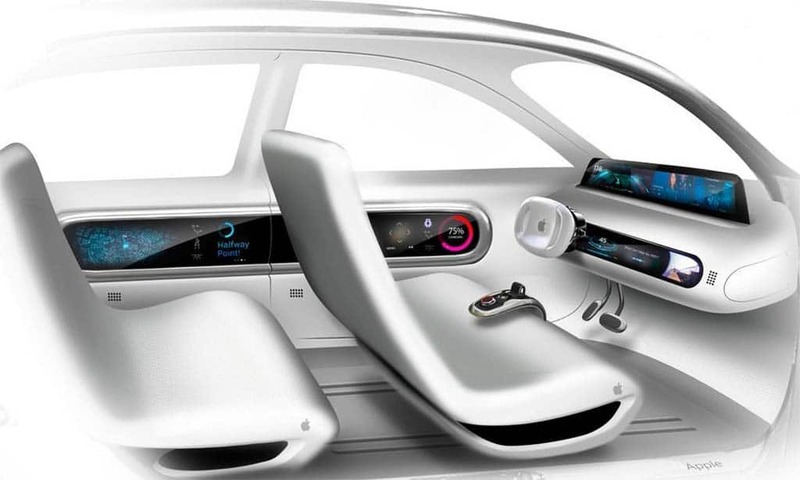 A sketch of a possible Apple Car interior leaked out several years ago. The fact that Apple would even comment on the latest developments is significant. Project Titan was the subject of several years of rumors before CEO Tim Cook addressed it in any form, initially by teasing that self-driving cars would be “the mother of all AI projects,” in an interview with Bloomberg in June 2017. By then, it was believed that Apple had assembled a massive team to develop not only self-driving software but a vehicle that would be able to use the technology. But there were subsequent indications Apple might eliminate vehicle production from its plans, much as rival Alphabet did when it spun the Waymo self-driving project off from Google several years ago. Waymo late last year launched the world’s first self-driving vehicle ride-sharing service in Phoenix, a venture it plans to expand to other cities over the coming years. But Waymo CEO John Krafcik has decided to rely on vehicles provided by traditional automakers, including Fiat Chrysler Automobiles and Jaguar Land Rover. In turn, it is modifying them itself using both software and hardware built in-house. Waymo is now planning to set up a plant in the Detroit region to handle those modifications. 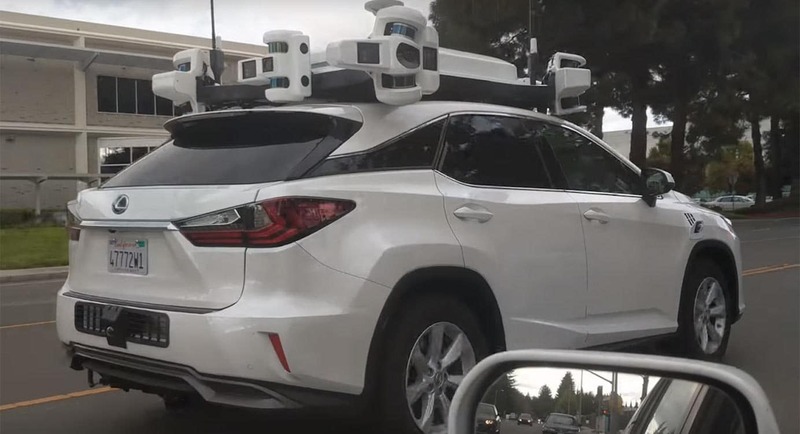 Apple was reportedly using vehicles like this modified Lexus to test its autonomous technology. Whether Apple remains in the self-driving vehicle sector or not, there will be plenty of competition in that emerging arena. General Motors is planning to challenge the Waymo One service this coming year using technology developed by its Cruise Automation subsidiary. Last October, Honda agreed to team up with GM in what will be a long-term, $2 billion investment that gives it a stake in Cruise. Japanese investment firm SoftBank has also invested in the GM subsidiary. Ford, Volkswagen and other traditional automakers are planning to enter the field with not only self-driving vehicles but with subsidiary ride-sharing operations. And both Uber and Lyft are developing autonomous vehicles of their own. This entry was posted on Thursday, January 24th, 2019 at and is filed under Automakers, Automobiles, Autonomous Driving, Business, Chrysler, Concept Cars, FCA, Ford, GM, Jaguar, Land Rover, Maven, Ride-Sharing, Safety, Semi-autonomous Driving, Technology, Volkswagen, Volvo, waymo. You can follow any responses to this entry through the RSS 2.0 feed. Both comments and pings are currently closed.